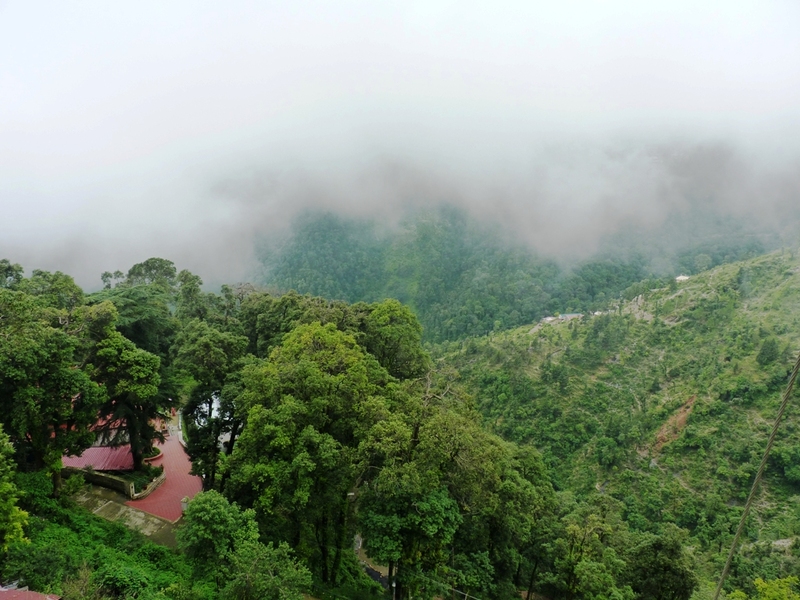 Wonders of Nature are generally seen on Hills only, lush green mountains partially covered with foggy clouds, chilling weather with dripping dews and nicely built smooth curvy roads, these are specialty of Mussoorie, the queen of Hills. 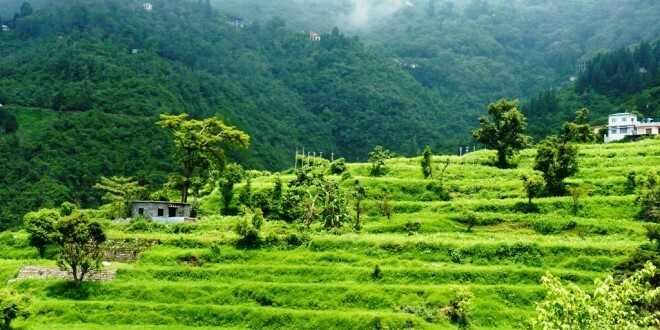 Mussoorie is one of the hottest tourist destination and easily reachable Hill station of North India. 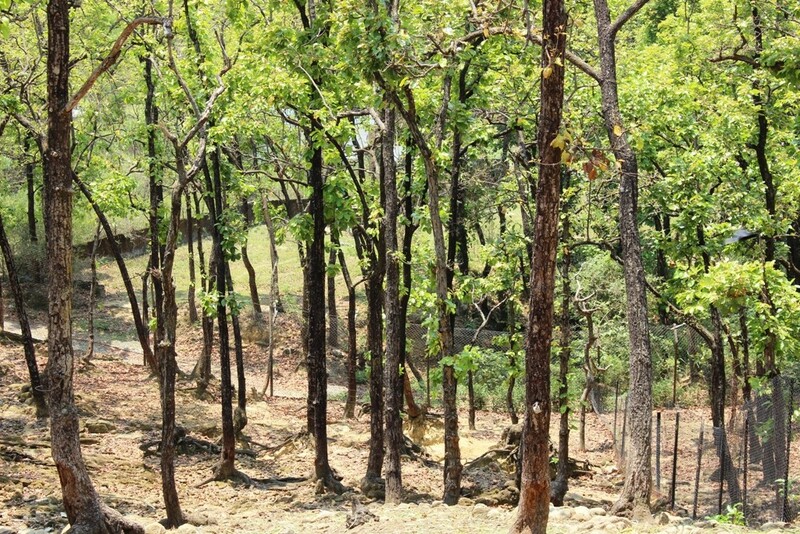 Queen of hills is located 30 km from Dehradun 90 Km from Haridwar and 290 km from Delhi. 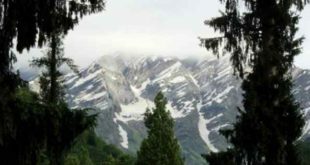 Being at 6580 ft above sea level, the place has finest climate through the year and popular for snowfall lookout during winter. 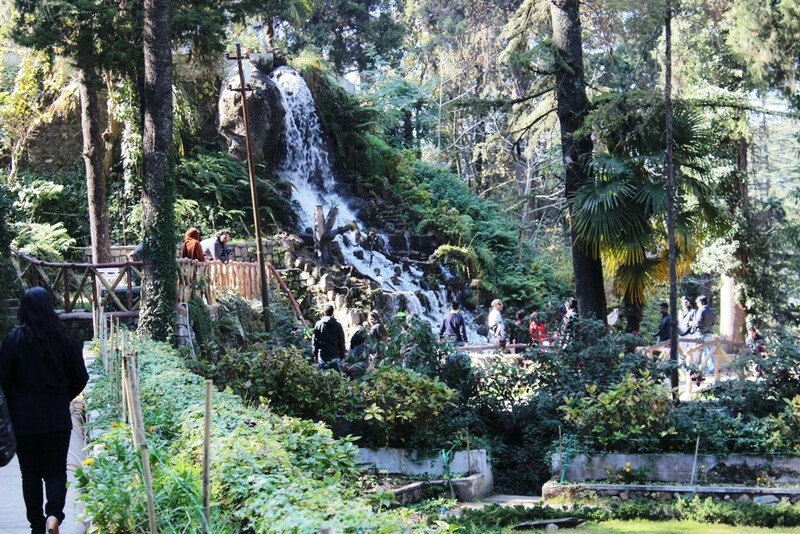 There are many places to visit in Mussoorie. 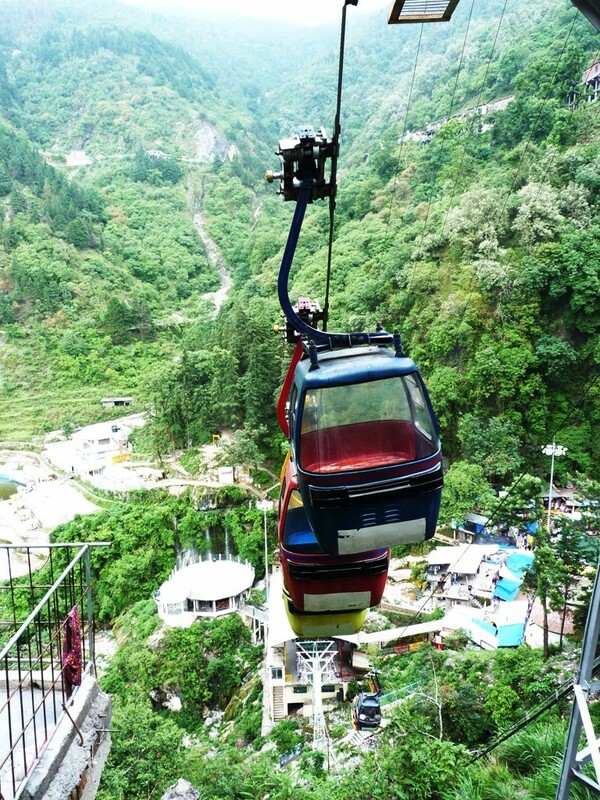 Mussoorie sightseeing starts from the Dehradun itself. 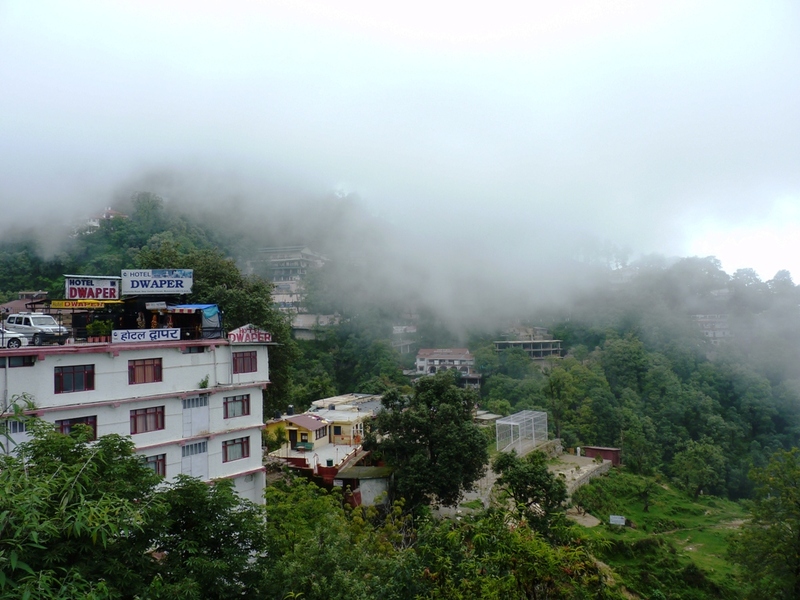 I have traveled many times to this marvelous place and therefore sharing my experience by giving stop by stop description of various places in and around Mussoorie. 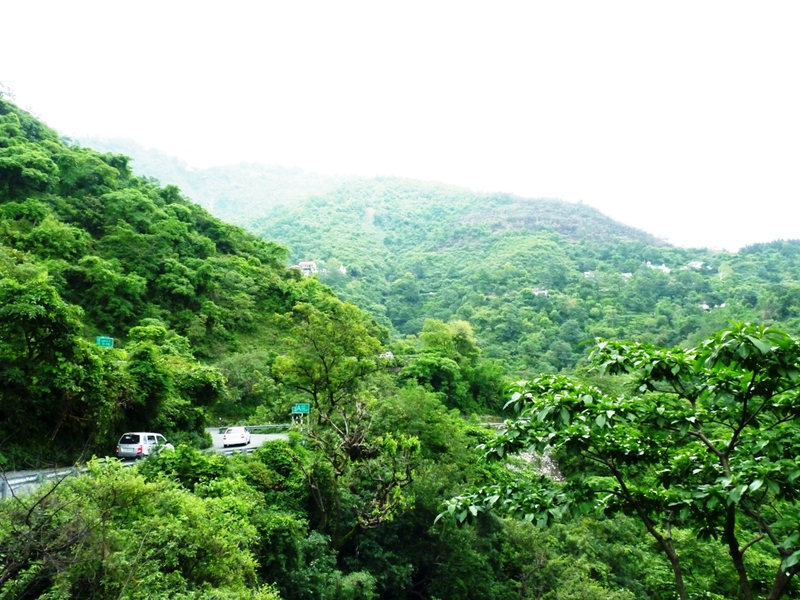 The roads to Mussoorie (from Dehradun) are smooth and well maintained with side barriers and crazy hilly sign boards, colorful flowers on the side hills looks beautiful on the way. Driving in these roads is an awesome experience. 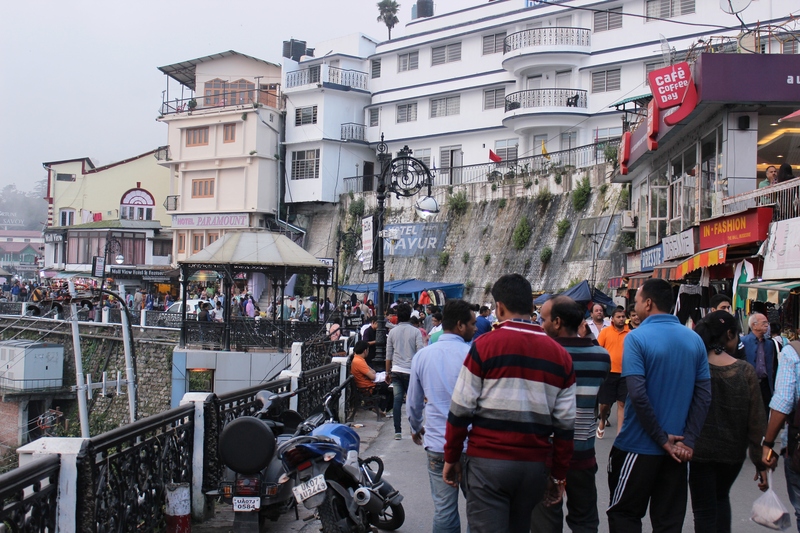 Every weekend there is rush of tourist which causes occasional traffic jam near Mussoorie, on any national holidays there are crowd of local tourists especially of students from various colleges in Dehradun, for them Mussoorie is a day trip. 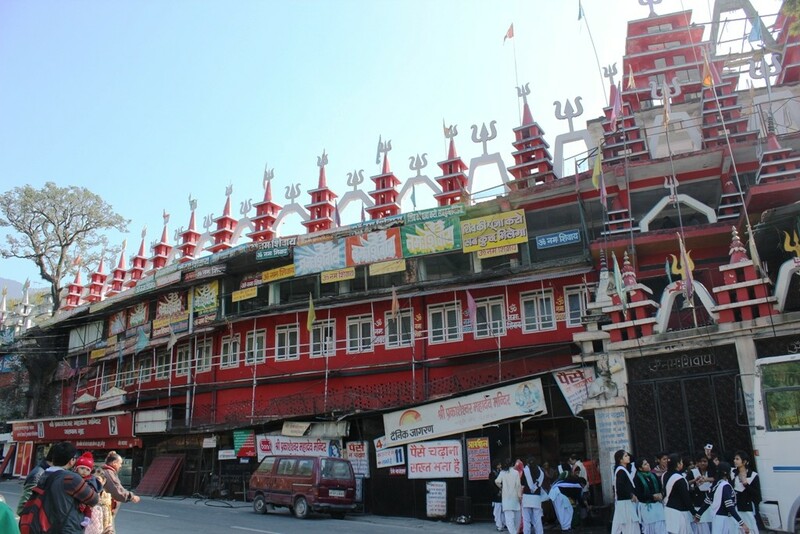 There are various eye-catching viewpoints on the way to Mussoorie, also there are lots of eateries e.g Dhabas and restaurants available which are actually needed when you start in the morning from Haridwar or Dehradun. Starting form Dehradun just after few km comes is Masli Dear Park. 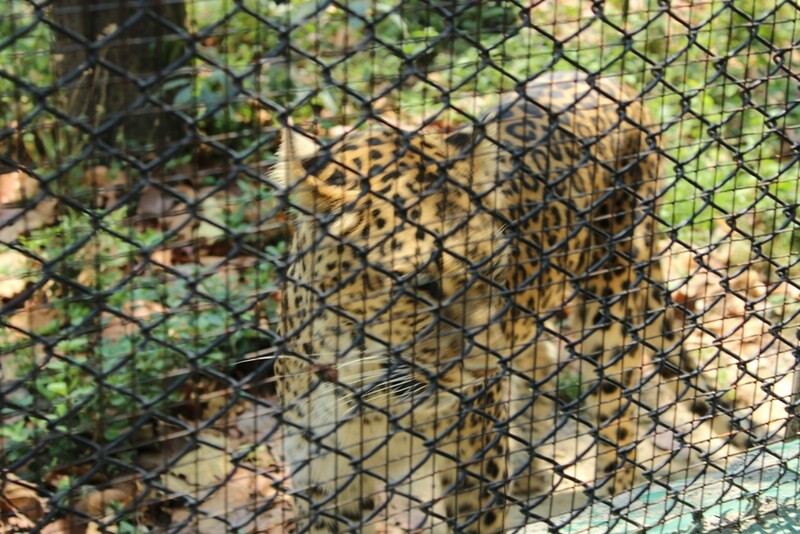 The park is small and beautifully with few animals and birds, but it has also one caged Leopard which is the main attraction. 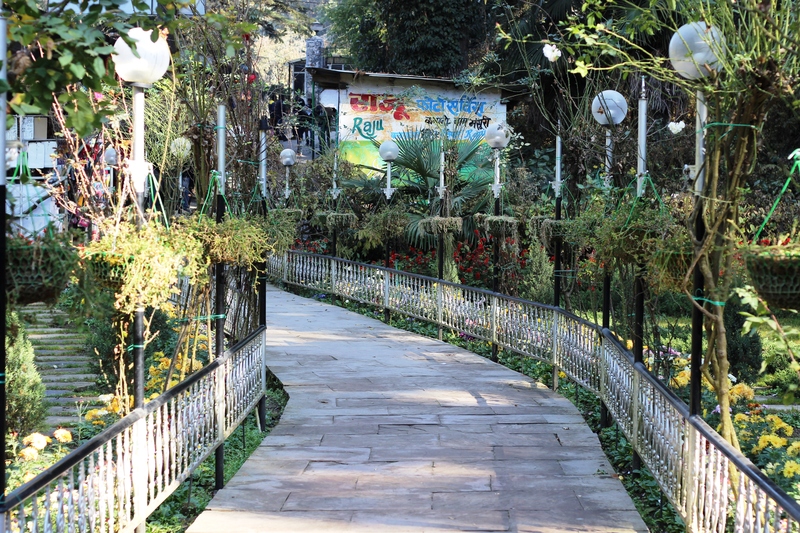 The park is nice, tourist going Mussoorie may avoid this to save time. 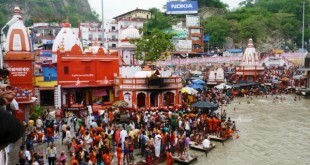 The first stop point comes is Prakeshwar Shiva temple of Shivpuri. 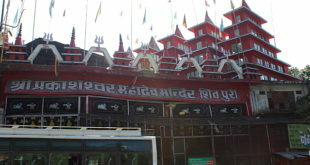 It is a beautiful red colored temple having many domes with colorful flags. 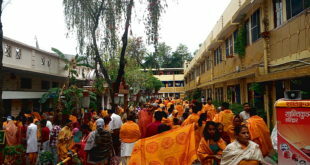 There are atypical notion on the temple wall which say not to give any donations in the temple. 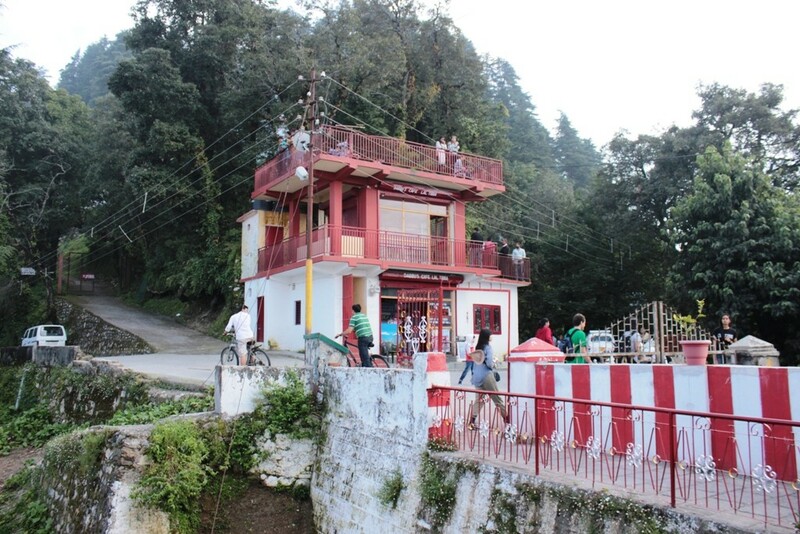 The second stop is Bhattafall before Mussoorie. Apart from a small water fall it has beautiful stunning views on the left side, Photo lovers cannot stop taking pictures beautiful landscape. The third stop is Mussoorie Jheel 3 km before Mussoorie. Its a customized pool made some 100 ft down the main road. The criss-cross staircase will lead down to the pool which is mean for boating, the area looks beautiful with flowers and flowers plants. 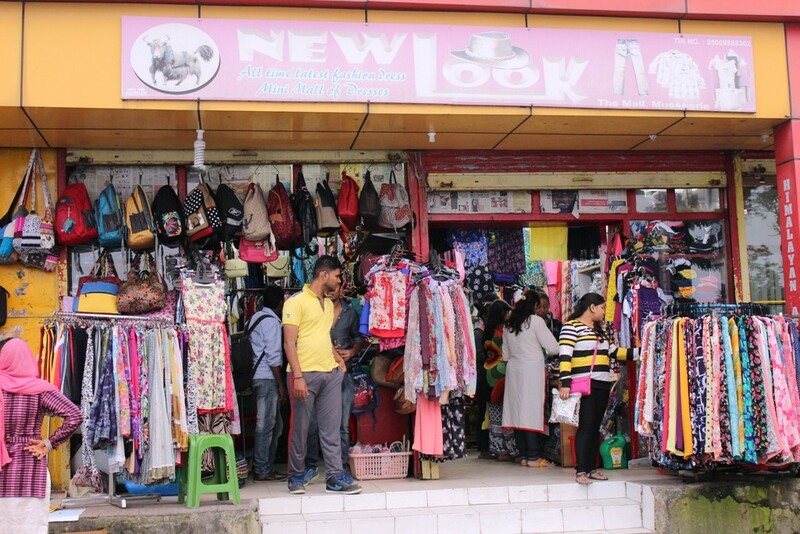 There are art & crafts shops arround the pool which attracts your kids alot. 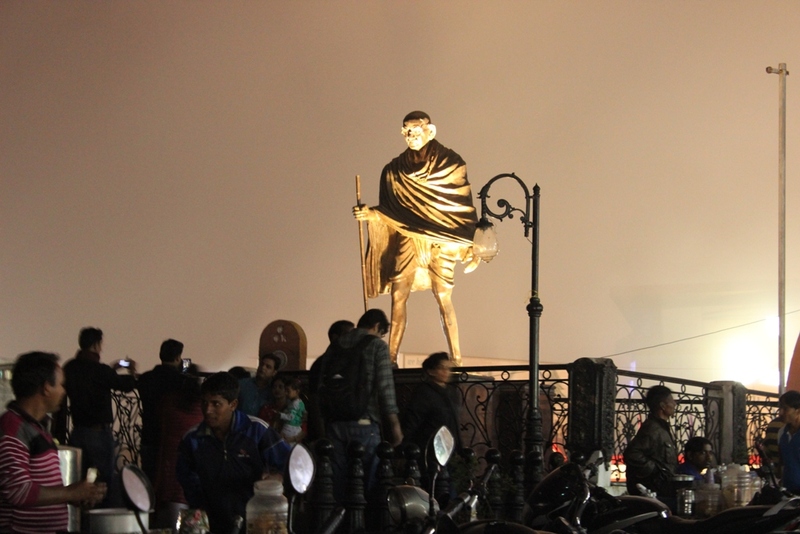 Finally Mussoorie is arrived when you see the Gandhi statue on the left at the famous Library chowk. The straight road goes to Kempty fall, the left road has many good Hotels and nice view points and on the right side is the Mall road of Mussoorie. Vehicle is not allowed without entry ticket in the mall road and entry is allowed only between 10 am to 4 pm. Many times i have visited Mussoorie but every time it was a new experience for me, the liveliness and freshness ambiance of Mall road energizes me every time. 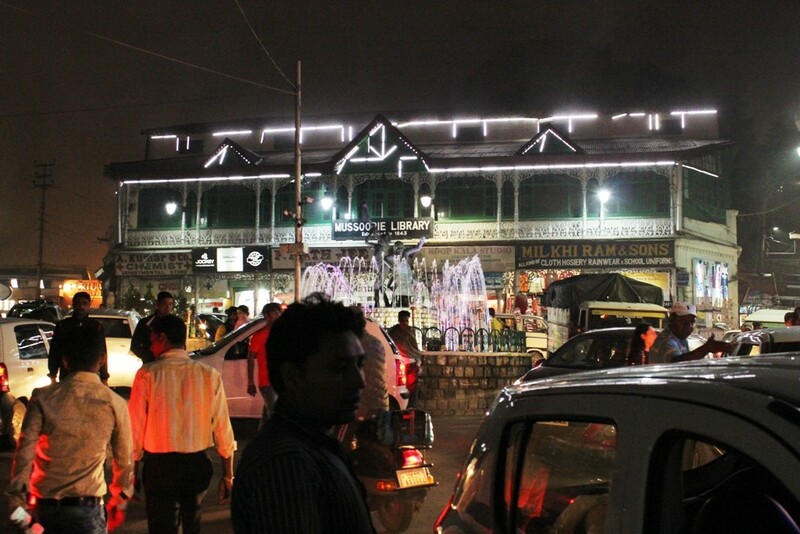 Evening is the best time to spend time in mall road , we go for a brisk walk on the mall road, there are antique designed chairs and lamps on road sides, which give colonial feeling. Horse riding to camel back road, Ropeway to Gun hills, Telescopic views of important location in hills, Shopping and enjoying street food are the main activities in mall road. 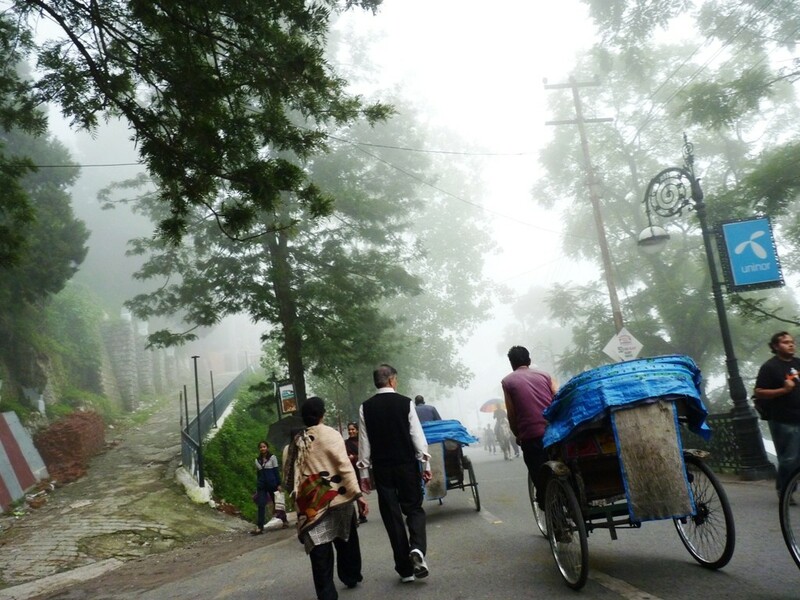 A road from the Landour bazar goes uphill to Lal Tibba the famous view point of Mussoorie. 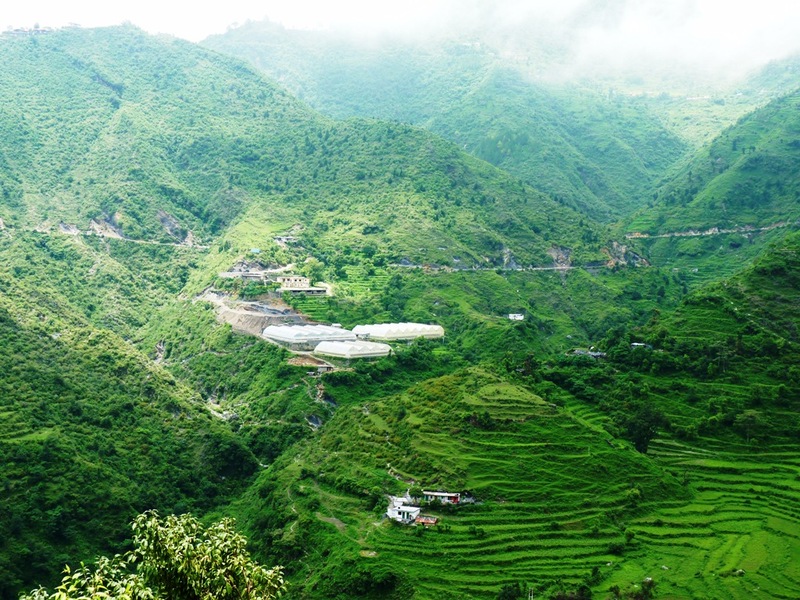 Situated at 7500 ft it is the highest peak of Mussoorie ranges. 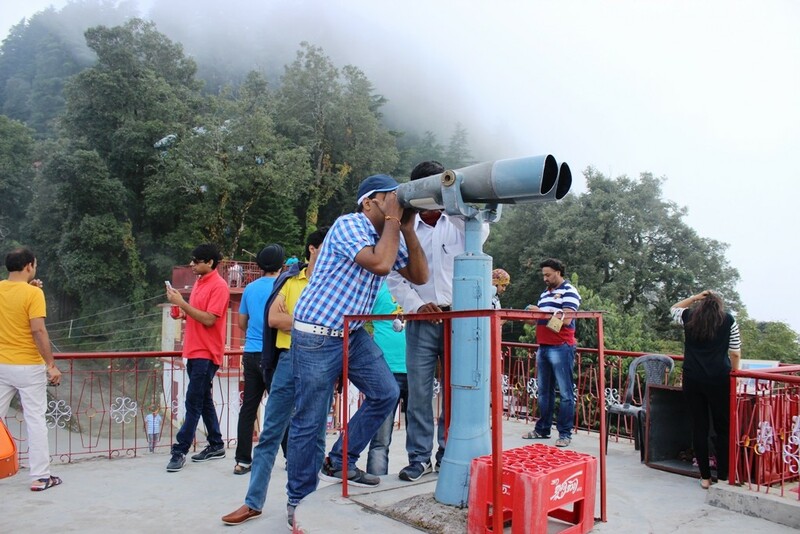 The place is important for nice views of valley, there are two Japanese telescope installed here for the viewing the important ranges of Himalayas, the important ones are Gangotri,Yamunotri, Kedarnath mountain ranges as claimed the guide over there. But for viewing these range the atmosphere should be cleaned without any fog or cloud, the best time to visit here is October -November, any way the place is nice and must visit. It is situated 20 minutes walk from the Mussoorie library. The Garden is nicely built with some very beautiful and varied colored flowers and plants. The Garden is a must visit for first time. 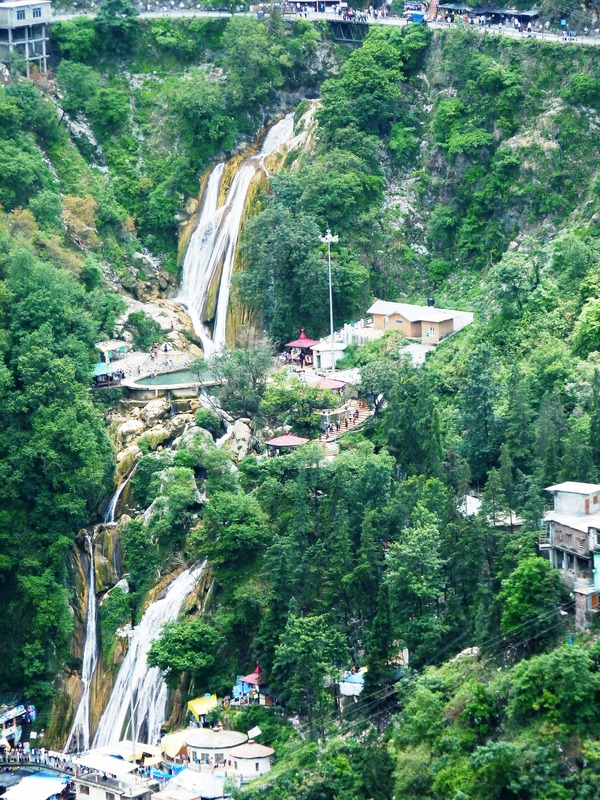 It is a famous water falls located 13 km from Mussoorie. 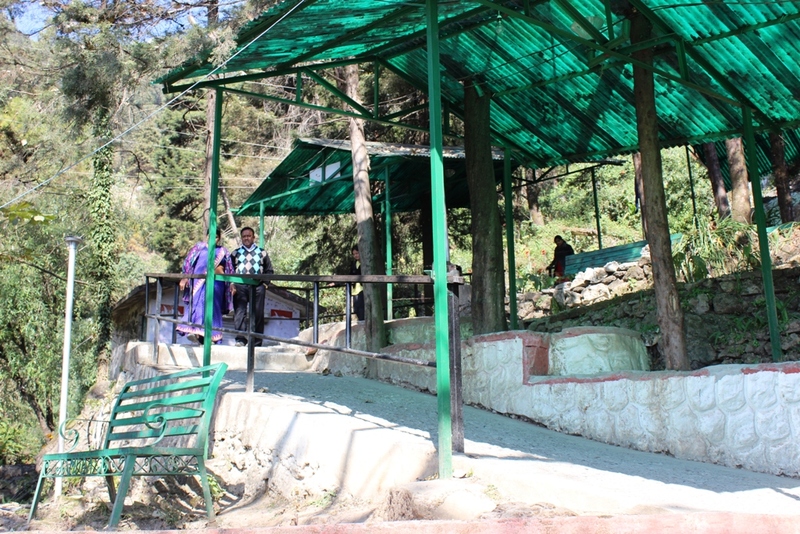 The place is a must visit in summer season as the falls water are chilling cold though out the year. 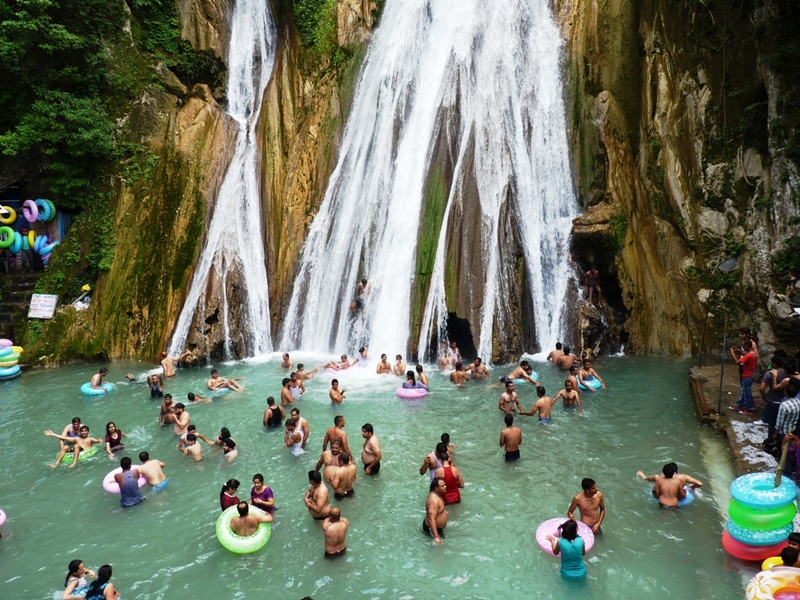 Here cascading falls creates multi level of bathing spaces and at every levels a kind of bathing pools are formed for tourist to enjoy. The best part is that it is safe and secure. Like any water parks you can easily get bathing cloths and tubes to enjoy there. If you are not water phobic then this is the best place to refresh yourself by playing hours inside the water pool and take the water thrust directly over your body, its cool and refreshing. The main or biggest pool is much down the main road. There are steep staircases down till the pool. Climbing on these stairs is a tedious job therefore if someone is not physically fit enough can use the rope way for to and fro journey.